Sell Your Car For Cash - What Could You Do With The Money? Do you have an older car you don’t really use or need? Maybe you’re in the military and deploying, or your residence is Oahu and you’re trying to come up with a few ideas of what you could do with the proceeds from your used car, truck, van, or SUV. Some people like to stick the money in the bank for a rainy day, but there are lots of things you could do instead! We buy used cars for cash in Honolulu, and we’ve got a few ideas you may find useful for the money you receive for your old vehicle. Could your home use a little upgrade? Maybe you’d love wood floors in the living room, or granite countertops in the kitchen. You can probably think of lots of home projects! What about investing in your children’s education? Saving for college is always important, and depending on the value of your used car, the money could go a long way toward education. Pay off your credit cards or other bills. Of course it isn’t likely you’ll get tens of thousands of dollars for your used car, but every little bit helps when it comes to paying down your debts! Spend it on a much needed vacation. If you haven’t been able to take a real vacation in several years, it’s time to relax and de-stress! Use the money to invest in a great vacation or even in a destination you otherwise wouldn’t have been able to afford. Relaxation is good for the mind, body, and spirit. Invest in a new car. 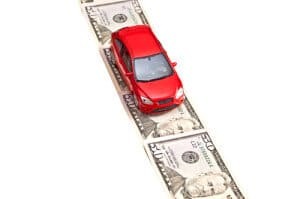 The more you put down on a new vehicle, the lower your payments will be – and that’s always a good thing, considering the high cost of most newer cars these days. Go on a shopping spree! Whether you’ve been needing new career clothes for work or had your eyes on an amazing pair of shoes, if you don’t need the money for other reasons, you can shop without using those credit cards and racking up interest. These are just a few things you could do with the money you get when you sell your used car for cash. How much will you get for your vehicle? At CarMark Hawaii, we make it easy. Just fill out our online appraisal form, and we’ll give you a call immediately so you’ll know how much you can expect and we can get the ball rolling.